Heading to the Yellowstone Ski Festival during Thanksgiving week? Want to demo some new skis? 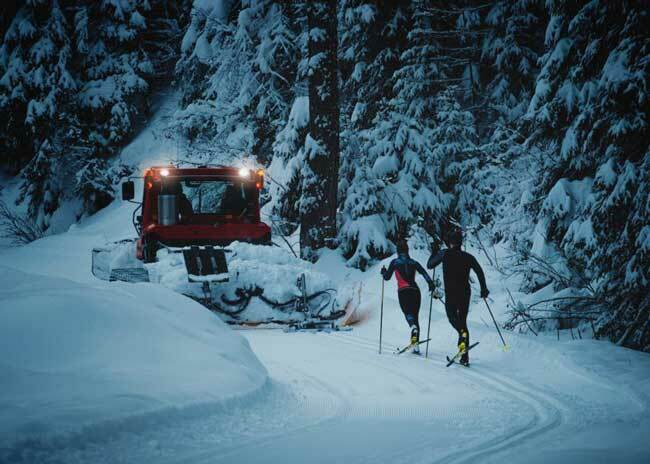 All the major ski vendors will be doing ski demos, but Fischer Skis has opened an online reservation system to make it easier. Instead of waiting in line and hoping skis for your weight and technique preference are not checked out, you can reserve them ahead of time. WHERE: Reserved demo equipment will be available in the main Expo Auditorium at the Holiday Inn at: 315 Yellowstone Ave. WHEN: Equipment check out for reserved Fischer demo equipment begins Tuesday night, November 20th and runs through Friday night, November 25th. Hours for the Expo Center run from 7:00pm to 9:00pm each night. Reservation will be held until 8:30pm each night, after that the equipment will be made available to walk-in customers. PICKUP PROCESS: Once you submit your reservation to Fischer, Fischer will contact you within 48 hours confirming your demo equipment pickup date and time at the Expo. RETURN PROCESS: The demo equipment will need to be returned to the Indoor Expo in the back lobby the following day. The return time is between 11:30am and 1:00pm. For example, if you pick up a demo package on Tuesday night, the 24th, you need to return it by 1:00pm on Wednesday, the 25th. IDENTIFICATION NEEDED FOR PICK UP: You will need to provide a valid credit card and photo ID when you pick up your gear. Skier’s under the age of 18 can and are encouraged to reserve demo equipment. Please have a parent/legal guardian or coach/adult who is supervising the skier during the week who can provide the needed credit card and photo ID. IS THERE A CHARGE TO DEMO? : No, however, Fischer will reserve the right to charge $75 late fee to the credit card on file if the equipment is not returned on time. Time is needed to prepare the demo skis and boots for the nightly pickup. Please be respectful so we can get the equipment prepared for the next demo skier. WILL FISCHER ALSO BE AT THE TRAILHEAD DURING THE DAY? : No, based on the overwhelming positive feedback we have received from the skiers who have used this reservation process for the past 5 years, we believe that the reservation process gives a much more personalized and complete process to the skiers and Fischer. Plus, you don’t have to stand outside and put on cold boots!